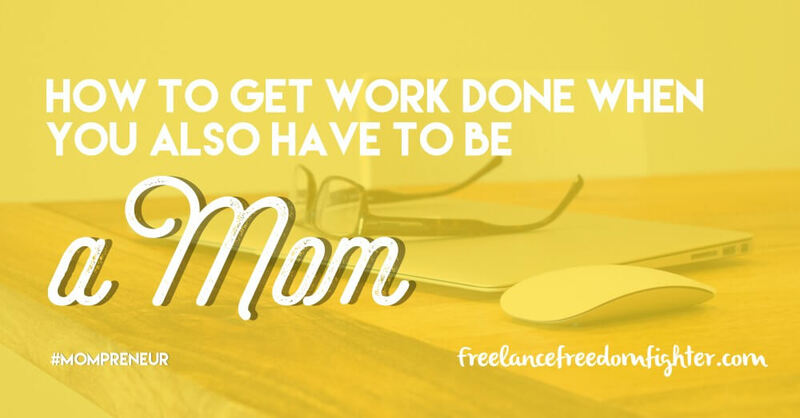 Can you be a stay-at-home mom and still work while making decent money as a freelance writer? The short answer: Yes, you can. The slightly longer answer: Yes, you can, but oh my dear Lord is it difficult! Because I speak from experience. My son is coming up on 3 and he is about as boyish and energetic as a 2 1/2-year-old boy could be. At this point in his life, everything is about Spiderman, jumping off the sofa 15 times a minute and playing any game that involves a ball. I love it, I love his personality, and I love playing with him. However, it’s very difficult to keep a toddler entertained while trying to write an in-depth 2,000-word article. “Hold on, bud.” I say as I’m sitting at my desk. “No, you can’t play with my phone, but you can do your puzzles for right now.” I say as I stand up and rustle through his toy chest and pull out his favorite puzzle. Then I spend another couple of minutes getting him excited about doing his puzzle before heading back over to my computer to try and remember what my line of thought was on five minutes ago. As you can imagine, the interruptions don’t stop there. As you can imagine, the interruptions don’t stop there. What have I learned in the course of my being dubbed a “working mom”? You can’t be a productive writer when you’re in mom-mode. Now, please don’t take that offensively. My point in stating that point is simply to tell you that trying to be in work-mode while you’re also in mom-mode is very difficult — in fact, I’d say it’s closer to impossible. My kids will always take precedence over whatever I’m doing when I’m the only one home to take care of them, and I think most people would say the same thing. So how then does a stay-at-home mom like myself manage to work from home while taking care of a little one too? Here are some tips that I use to increase my productivity without ignoring my son and family life. Being able to work whenever you’d like as a freelance writer may sound nice, but if you’re a mom, it doesn’t always work like that. I’d love to be able to work from 6-11 every morning without interruption, but I hardly have that luxury. 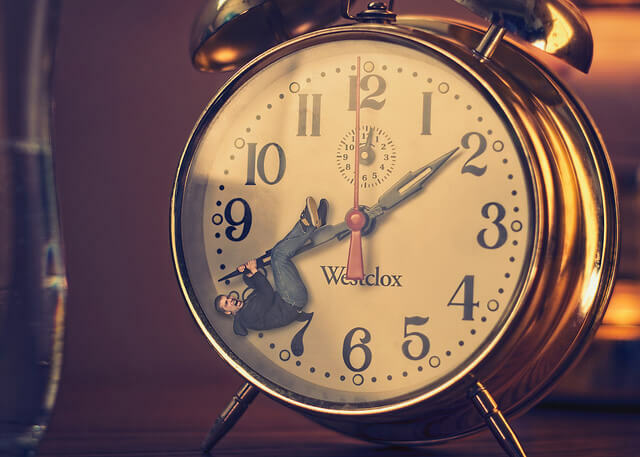 As that is that case, I have to break up my work schedule into certain times during the day and week in order to get work done in a timely fashion. I try to start my day off before anyone else in the house is awake. Five minutes after I get up, I have a cup of coffee in one hand and my laptop in the other. After I’ve taken at least a couple sips of my cup-o-joe, I have Evernote open and I’m working on the outline for the article I have to work on for the day. After the outline is done and I’ve organized the flow of the article, then I get started on the actual writing part of things. I get as much of this done as I can before my son wakes up, which is always changing. Sometimes I have a solid 3 hours of distraction-free work that I can do in the morning, and other times, I only get an hour to myself before he’s up and running. Even if I don’t have that much time to do things, at least I got started, which is better than nothing. The other time I have some quiet time to work is when my little one is down for his nap. This gives me a good couple of hours to get some work done, however, he is getting to that age where he won’t be needing his naps like he did when he was a baby. For the time being though, this does give me some nice quiet time for writing. My husband also works for himself so he gets to set his own schedule. After my income from writing started to become substantial and steady, we worked out that he could work a little less and stay home a day or two a week and that I could work on the days he had off. Though his work is always in high-demand and he doesn’t always get to take as much time off as he would like, when he does have the chance to be home, I still like to get up early and get as much work done in the morning to make a family day out of it. But I’ll tell you what — those extra couple hours to get work done are invaluable and I love having my hubby home the whole day! Working nights and weekends isn’t exactly what I would call an ideal situation, but sometimes I have to. Life as a working mom and wife is hectic. When I don’t get all the work done that I need to early in the day or in the week, then nights and weekends are all I have left. Do I wish that wasn’t the case? Absolutely. But, sometimes you gotta do whatcha gotta do. I should state that this is pretty rare, but thankfully, working as a writer does offer me a large amount of flexibility that most other jobs wouldn’t. Every mom will have a different schedule that works for them, but the important thing is to not pack your days too tight or you’ll wear yourself out. 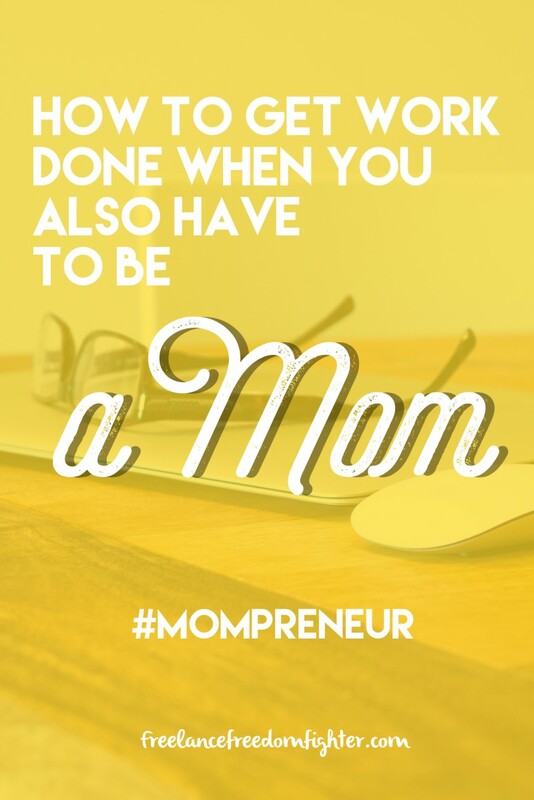 Being a working mom was never meant to be easy; being a stay-at-home mom who works is just as difficult, if not more so. But just because something is hard doesn’t mean that it’s impossible. Even with my busy schedule as a mom, I still manage to do part-time work every week and make close to $2,000 every month in doing so. If I had more time to work, that amount could easily triple. If you’re struggling to balance work and life, don’t worry — you’re not alone in that, I promise. Take the time to work out a schedule that is best for you and don’t over do yourself at first. Spend the little time you have now to learn the trade and start small. When your kids are older, you will have started something that you can expand as your free time does. If you’re a mom (or dad) looking to break into the freelance blogging world, please don’t hesitate to reach out to me with questions. I’d love to do what I can to help you in your freelancing endeavors.